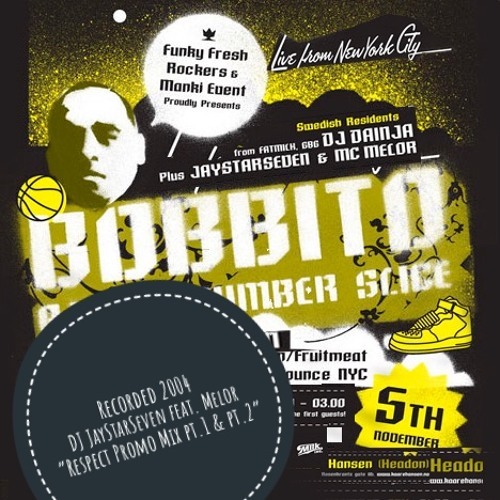 This is two promotional mixes for a CD mixtape/flyer way back from 2004 with MC Melor on the mic, recorded before a really fun night in Oslo at Headon in Oslo with Bobbito, Dainja & myself behind the decks... These recordedings was meant to be played in stores etc to promote the release (and releaseparty)of like Missy Eliiot's Adidas' clothing line 'Respect' & the release party... I can't believe it's already passed 14 years, different time and already back in those days before soundcloud & myspace... Schhhh####!